* Reservations are required and can be made by the Activities Concierges’ desk at (603) 278-8989. *Reservations are required and can be made by contacting the Activities Concierges’ desk at (603) 278-8989. 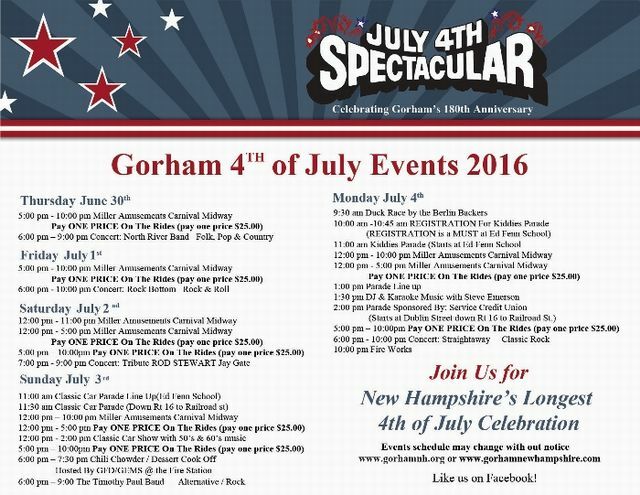 *Reservations are required and can be made by contacting the Activities Concierge desk at (603) 278-8989. Fees Apply; $20 pp. *Reservations are required and can be made by the Activities Concierge’s desk at (603) 278-8989. July 4th – Enjoy an old fashioned rural village celebration of Independence Day. Parade down Main Street, Fryeburg Village at 10:00am. 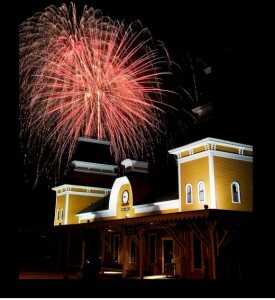 Fireworks on July 2nd at approximately 9 PM at the Jackson Village Park area. Parade at 11:00 am running from Blake Road to the Lion’s Club, with a BBQ at the Lion’s Club at the end of the Parade. Sunday, July 3rd at dusk Best viewing locations: Fairgrounds parking area off of Squam Lake Road, Sandwich Central School (in the back), or Quimby Field.